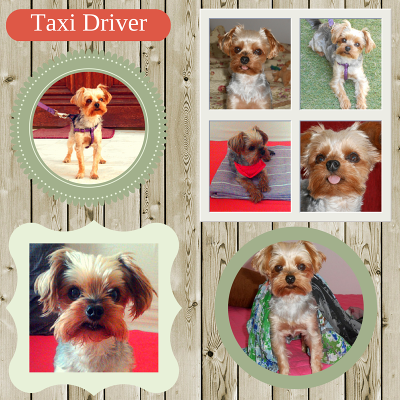 Guest Posters • WritingFia Essen, Taxi Driver, Ariel, and Anna ALL HERE TODAY! 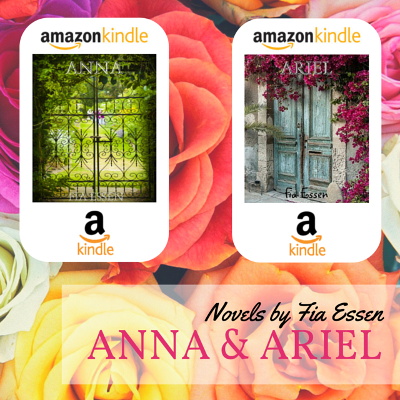 Fia Essen, Taxi Driver, Ariel, and Anna ALL HERE TODAY! 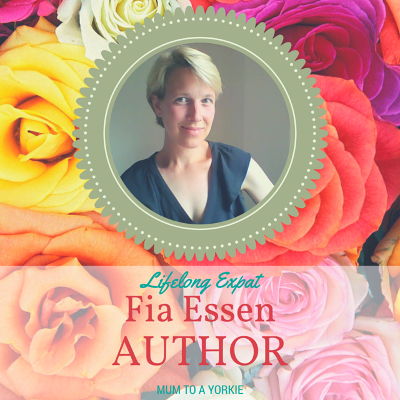 The fabulous Fia Essen is gracing the blog today, talking about her books, her dog, and anything else I can get her to dish about. Hi there Friends and Fans of Marian Allen the Fabulous Author Lady! My name is Fia Essen. I’ve known MA for… Oh! Wow. I just realized four years have passed since we ran into each other online. We haven’t managed to synchronize our longitudes and latitudes yet but I keep threatening to show up on her doorstep. She only has herself to blame. It’s those recipes of hers, you see. Mouthwatering. You guys know what I’m talking about. I’ve made a promise to myself to sample her cooking one day. I’m popping in at MA’s home on the web here today because she has kindly offered to let me ramble on about me, myself, and I. I’m an author and rambling, a.k.a spreading the word about myself and my books, is part of the job. It must be done. To limit my rambling, I asked MA to shoot five questions my way. Fia: Taxi Driver hails from the Czech Republic. He was just a couple of months old when he flew to Chania in Crete. That’s where he found me. Our eyes met in the pet shop and I knew I couldn’t leave him there. He stole my heart in an instant. So I scooped him up into my arms and took him home with me. On the cab ride home, he kept trying to climb into the driver’s seat. That’s when I knew his name was Taxi Driver. MA: Was there one central image in your mind that meant “Ariel” to you? Fia: You’re wondering who or what MA is talking about, aren’t you? Okay, friends and fans of MA, “Ariel” is one of my novels. Ariel is the main character, as you might have guessed, and she’s a half-American half-English lifelong expat who was born in Hong Kong and now lives in Singapore. The central image is a crossroad because Ariel is standing at a crossroad. Should she go left or right? She just doesn’t know. She’s stuck, paralyzed by indecision brought on by a fear of failure. MA: What do you hope readers take from having read the book? Fia: I hope reading Ariel will give people hope… read my answer to MA’s next question and you’ll see what I’m getting at. MA: Did writing this book change you in any way, and, if so, how? Fia: Ariel is stuck in a rut and can’t see a way out. She has lost sight of who she is and what she wants. I’ve been there. That’s why I wrote the story. Writing Ariel helped me get out of my own rut. It reminded me that nothing is ever set in stone. As I sorted out Ariel’s fictional problems on the page, I began sorting out my own. When I gave Ariel the courage to chase her dreams, I rediscovered my own confidence. I hope reading Ariel will give the reader hope that they too can turn their lives around. MA: Is the book still with you? Will there be a sequel or short stories about any of the characters? Fia: Yes, Ariel is still very much with me. So is Anna. Anna is the main character in another novel called, you guessed it, Anna. I will continue their stories at some point in the future. And I believe they will meet somewhere between Singapore and Greece. Thank you so much for visiting, Fia! See, and I want to come to Athens to visit you — and the Antikythera Mechanism! A WRITING PROMPT FOR YOU: Write about someone wanting to visit where you are. This entry was posted in Guest Posters, Writing. Tagged guest author. Happy to meet you, Ms. Essen. Marian has such an international following! Isn’t the Webby Thing great? The Antikythera Mechanism and I are waiting for you, Marian! And Taxi too, of course. What’s the hold up? Thank you SO much for letting me hop into your web home. You’re a star of the brightest order. And I agree with Jane above – the Webby Thing is great. It introduced me to you. All I’m waiting for is a Transporter, so I can hop over to Athens and be home in time to tuck Mom in! Thank you so much for visiting! Hey, Taxi Driver needs to visit us on Caturday sometime! I told Taxi about Caturday… he’s looking very pleased now!